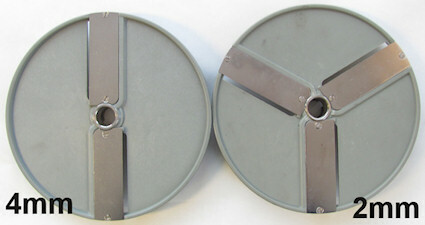 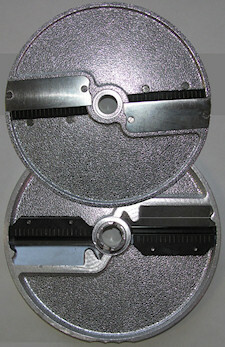 8X8mm, 10X10mm, 10X14mm dicing (cubing) discs for ROVTEX HLC-300 commercial vegetable cutter. 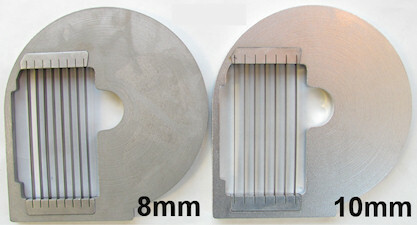 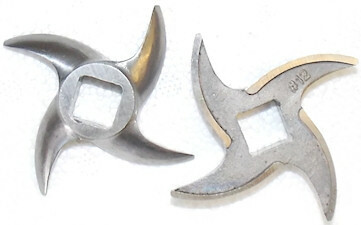 To dice vegetables to 8x8mm cubes you must have both 8 mm aluminum slicing disc and 8x8mm dicing disc and run them together. 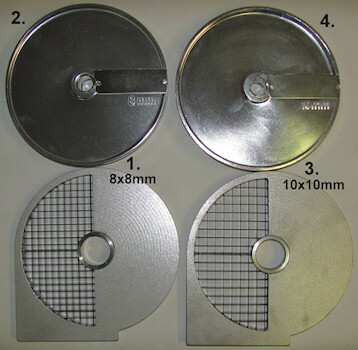 To dice vegetables to 10x10mm cubes you must have both 10mm aluminum slicing disc and 10x10mm dicing disc and run them together. 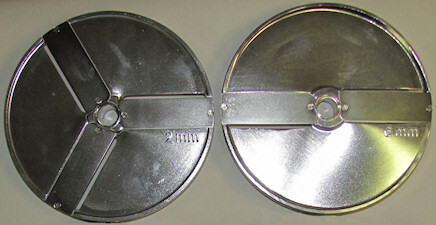 To dice vegetables to 10x14mm cuboids you must have both 10mm aluminum slicing disc and 10x10mm dicing disc and run them together. 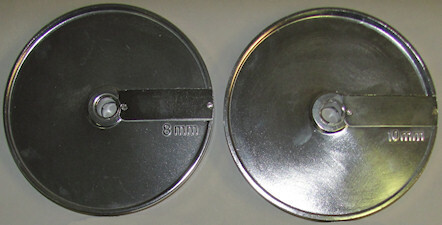 plus 8mm French fries disc and run them together.